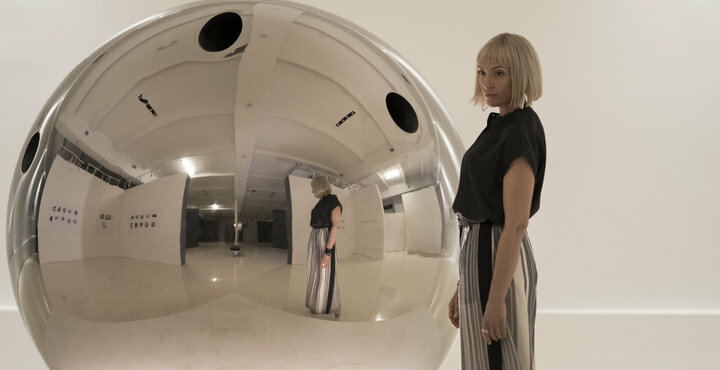 In the film Velvet Buzzsaw, there is a unique piece of reflective art, 'Sphere'. How are these camera shots made? This can be accomplished with simple CGI (computer-generated imagery). In the original shot, the camera is visible. Before the movie is released, digital artists simply replace the reflection of the camera with something that looks like the reflection of the room. This is the same technique that is used to hide the wires & ropes that hold actors up when they're "flying". Not the answer you're looking for? Browse other questions tagged effects cinematography velvet-buzzsaw . Is there are list/table what camera filters cause what perception of a movie by the audience? How was pre-title opening in Spectre shot? Is the change in camera handling, related to the characters state of mind? When recording on film, how does the crew see the footage?